Do you often buy small kitchen appliances that serve a specific purpose? Does your urge to buy them stem from your frequent watching of TV shows that introduce new kitchen products in the market? If you are and if you’ve currently found a lot of them unused in your kitchen, then maybe it’s time to get rid of some of them. It’s the end of the year and decluttering is good for you and your home. The experts say we only need a few basic appliances, pots and utensils in the kitchen. In reality, though, homemakers have so many with some of them rarely used. If you don’t want to literally throw them away, why not give them as gifts to close friends and relatives who may find them useful this holiday season. For sure, they would be very happy to receive one from you. Or you can hold a garage sale if you want to profit a little from them. Here are some kitchen gadgets you may need to dispose of soon. 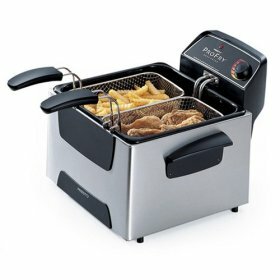 The deep fryer can go. This appliance can be expensive. A good alternative would be the Dutch oven which is great a keeping oil at an even temperature to properly deep fry food. The popcorn maker is unnecessary. 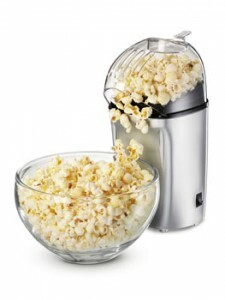 You can make popcorn by using your microwave oven or any pan that can hold your preferred amount of popcorn when cooked. Many homemakers go for the microwave, though, as it sets a perfect timing for popcorn to cook. The breadmaker may be helpful but making a bread the traditional way is still okay. When you are able to practice mixing the flour and other ingredients then kneading them, you will find it a breeze later to make bread. Many people also own this electric can opener which, according to the experts, is not a space saver. This is only ideal for those who can’t use their hands and the disadvantage is that the head part of the device can encourage the growth of bacteria as it’s difficult to clean. Your peelers such as the one used for garlic and other slicers can go as well. If you have a paring knife and butcher knife that you can use for peeling and slicing, you’re good to go.